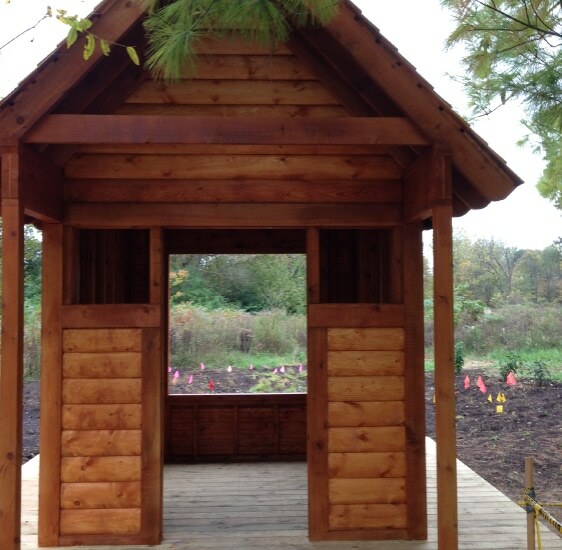 Upland Design assisted the Kendall County Forest Preserve and their volunteer led group to create a plan and fund raising package for Stephanie’s Garden, an outdoor education and play space for the kids of Kendall County and the Forest Preserve pre-school classes. The project planning incorporated a number of focus group meetings with the volunteers and Forest Preserve staff. The interactive meetings allowed everyone to share their ideas and vision for the project. 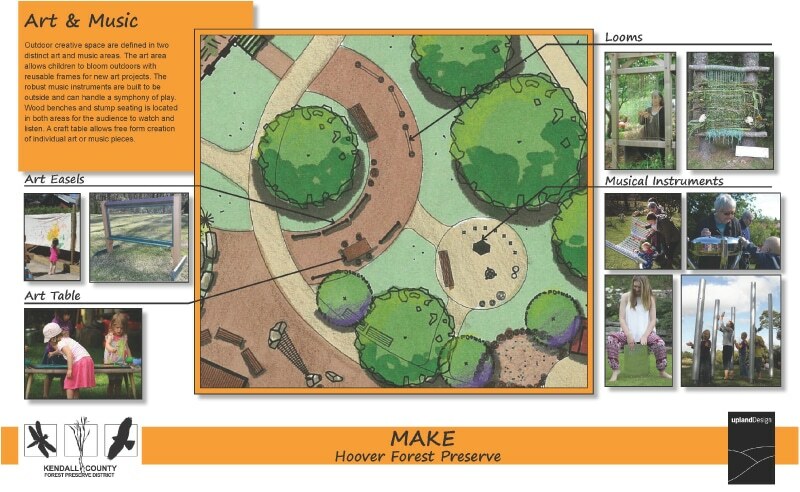 Then the designers created plans and images that would help the group fund raise through grants, donations and events. 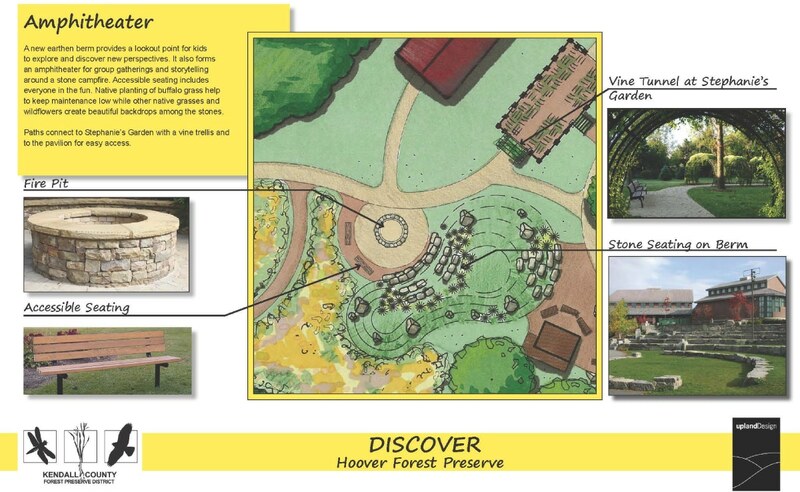 The Forest Preserve District adopted the plans and fund raising and building got underway. 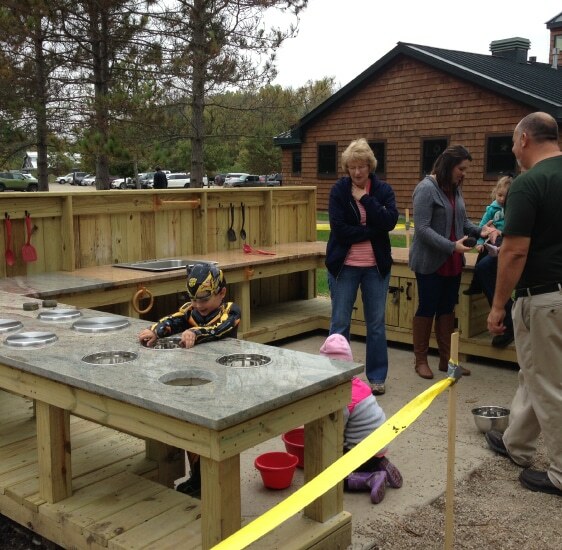 To date, a fully accessible mud kitchen, butterfly house, and butterfly garden have been built. 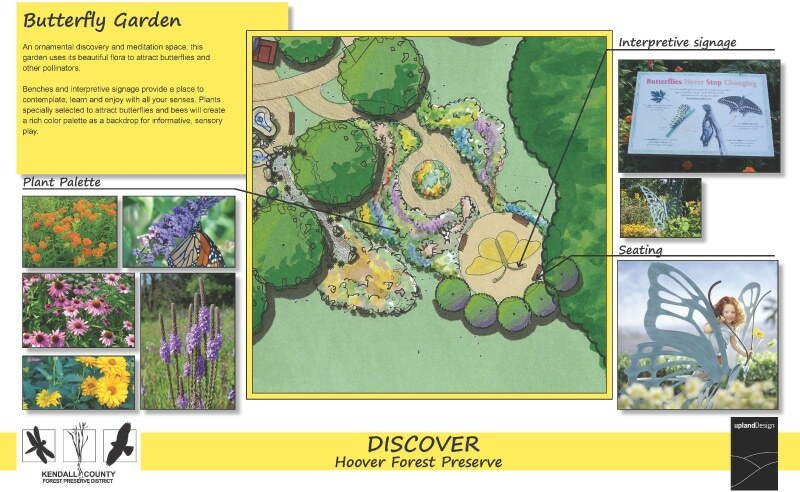 The plans and images created for the different learning and play zones in Stephanie’s Garden highlight learning as an integral part of play.